1. What is the USFSA (now generally called US Skating)? The United States Figure Skating Association is made up of local clubs, of which there are several in the North Jersey area alone. When you apply to be a North Jersey “home club” member, we will submit your information to the national organization, and you should receive a membership card and number from US Skating headquarters in Colorado showing that you registered through North Jersey FSC. Your US Skating number is used to track your participation in US Skating sanctioned testing and competitions, no matter what club you belong to in the future. 2. I already belong to the ISI. Why do I need to join the USFSA? The ISI is a separate skating association that also sponsors testing and competitions. 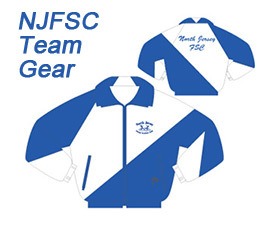 NJFSC FULLY SUPPORTS the ISI and their recreational skating goals. But, if you wish to participate in competitions qualifying you to compete at a regional, sectional or national level (World and Olympic Eligible), you must belong to the US Skating. US Skating members receive SKATING magazine. 3. What does “home club” membership signify, versus being an associate member? Your “home club” is the club which registered you with the US Skating. You may join other clubs as an “associate” member. If club sponsored events, such as test sessions, are over-subscribed, home club members would have higher priority. You must be a North Jersey FSC club member (home or associate) if you wish to participate in our holiday party, shows, and end of the year awards celebrations. 4. I was a member of another club in the past, but I don’t know my US Skating number. Do I need a new number? We can research your prior membership to obtain your old number using your name at the time you were active and your birth date. 5. I am currently a member of another club, but would like to change my home club designation. What do I need to do? Changing home clubs at the beginning of the membership year is easy – just send in your application to the North Jersey FSC instead of the club you belonged to last year. If you have already registered for the current season with another club, there is a form that must be completed by you and your old club to confirm that you are a member in good standing. You can obtain the form off the US Skating web site (www.usfsa.org) or by contacting the membership chairperson. 6. When does my membership expire? All US Skating and North Jersey FSC memberships expire June 30 and renew on July 1st. 7. How do I get a permission letter to participate in a competition, test session or ice show sponsored by another club? Permission letters are sent to you when you join us for future use. You or your coach can also contact our President or Test Chair to inquire if a permission letter is needed. 8. I just joined the club and have not received my membership number. Can I still participate in US Skating test sessions or competitions? Yes, your permission letter can be used on the application.